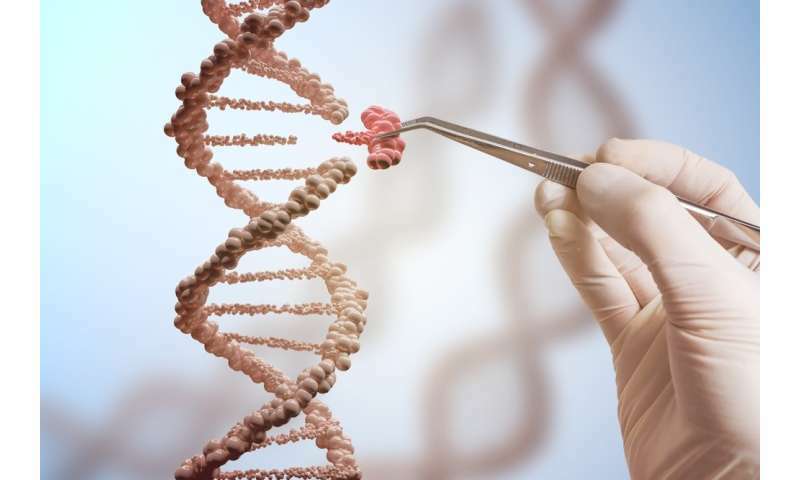 CRISPR technology utilises molecular scissors (a bacteria enzyme called "Cas9") to cut the DNA we want to target, and then we can paste DNA in to replace what we have removed. Cas9 recognises a specific segment of DNA among the entire human genome by utilising a guide, something like a map, that is linked to Cas9. Cas9 can persist in the body for several hours to several weeks. While it remains in the body, Cas9 can cut and paste other segments of DNA ("off targets") or the targeted segment of DNA over and over ("on target"). A study published today in Nature Biotechnology explores the accuracy of the Cas9 scissors. Scientists at the Sanger Institute at Cambridge, UK sought to determine whether Cas9's cut and paste process is accurate enough to be safely used in humans for treating disease. They found that after the DNA was repaired (new DNA pasted into the "cut" segment), the scissors continued to cut the DNA over and over again. They found significant areas near the cut site where DNA had been removed, rearranged or inverted. Fortunately, researchers have discovered other forms of CRISPR systems that don't require the DNA to be cut. Some CRISPR systems only cut the RNA, not the DNA (DNA contains genetic instructions, RNA convey the instructions on how to synthesise proteins).